Hwang Kyung-min murders his wife and then meets a friend he hasn't spoken to since his schooldays, when they were both bullied. Yeon's film confronts the cruelty of children while angrily critiquing a rigidly hierarchical society. Despite the overwrought tone of the final scenes, it carries an impressive dramatic wallop. This dark and gritty animation portrays the brutal world of school bullying as the starting point for a lifelong perpetuation of the instinct for violent revenge. Haunted by their troubled childhoods, Jung Jong-suk (Yang Ik-june) and Hwang Kyung-min (Oh Jung-se) reunite one evening and recall their school days spent attempting to avoid abuse by their classmates who relented only when made the subject of vicious attacks themselves. 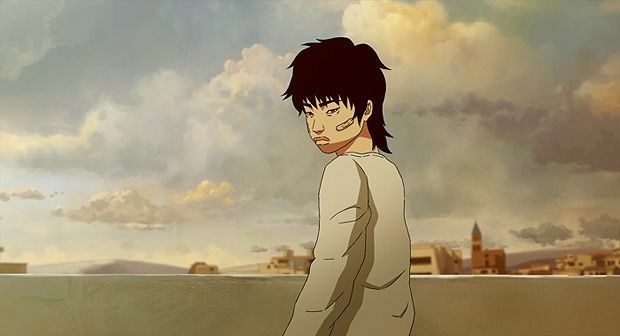 Director Yeon Sang-ho has created a startling adult animation examining inequalities of class, gender and gang hierarchies.